Two of the three zebras showed up on David Fiscalini’s cattle ranch and he killed them with his shotgun. A third zebra was killed by another rancher. 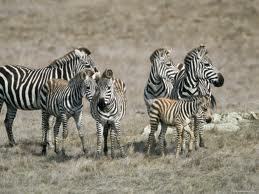 Fiscalini defended his actions by saying the zebras had spooked his horses. The Hearst Corp. still owns the 128-square-mile ranch that surrounds the castle. It was once home to more than 300 animals but most were sold off in the 1930s, said William Randolph Hearst’s great-grandson, Stephen Hearst. But some sheep, deer and 65 zebras continue to graze there, he said. He said he was shocked that Fiscalini hadn’t called him instead of shooting them. 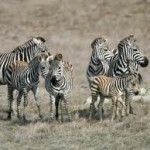 It is not known whether Fiscalini violated any state laws in shooting the zebras. The two “hunters” may have been within their convoluted rights to kill three animals who were acting natural by trying to herd into a group of their closest relatives, but personally I believe the “drugstore cowboys” should spend some time behind bars and be forced to do some community service picking up trash along the highways (wearing striped suits). This statement seems to absolve Mr. Hearst of any ‘negligence’ with regard to maintaining fences. How do we know Mr Fiscalini did not ‘tear down the fence’ himself with the intention of killing the zebras when they came through? Ive seen a coral of spooked horses and though I’m no equine expert,( to say the least in under dramatic tones) It seemed like an incrediably dangerous sittuation. Im not sure what happened here. Does this guy just happen to keep a shotgun around in case he has to shoot a horse? Im seriously asking that question because for all I know a rancher might. My guess is that Fiscalini found himself in possession of two dead zebras, THEN chose to save what was left of them by calling the taxidermist. It’s called being thrifty and its what ranchers do. I only got to hear a bit of Dave’s show today while they were discussing this. I heard someone comparing the zebras to bugs and saying if it’s okay to kill bugs then it’s okay to kill the zebras. Another caller said that because they didn’t have brands that there is no way to prove that the zebras belonged to the Hearst family…ARE YOU KIDDING ME.?. Is it a full moon? I rarely hear such goofy calls on Dave’s shows. I’ve pulled off the road and watched the Hearst zebras and unlike horses they are pretty aggressive with each other, I was pretty surprised how much that they fight with each other so I could see them perhaps harming horses. On the other hand these are ranchers, all they’d have to do is hop on their ATVs and scare them away or fire a gun in the air to keep the zebras away while someone called the Hearst family. If the zebras did harm a horse or a cow then I’m sure that the Hearst family would pay for any damages. Fiscalini apparently walked up to the zebras and shot them in the head with a shotgun. How could he have done that if they were ‘chasing’ his horses? How ‘dangerous’ were they, really???? O.k. not saying that I agree one way or the other as I have not read or heard that statement anyplace about the shotgun (so not sure if conjecture) but if it is true from what has been printed that this is an ongoing problem, that the Hearst Corp. in past is horrible about responding to loose Zebra’s and the danger is to your property (horses/cattle are an investment, hence property) what would you do? Put yourself in this man’s shoes and tell us how you would proceed. “Put yourself in this man’s shoes and tell us how you would proceed.” Well, I’m not sure that I would walk up to the zebras with a shotgun and shoot them in the head. I might whip out my cell phone and call the Hearst people and tell them that three of their zebras were on my property, could you please come get them. But that’s just me; I am not a rancher, I am not a hunter, I have no need for an authentic zebra rug. I’m sure many will disagree though. Here is the problem Bob. As mentioned this is an ongoing problem and sounds like the Hearst Corp. is ambivalent towards the whole thing, so how is a phone call, as you suggest, going to help if it hasn’t in past?? Don’t get me wrong either that I back the rancher and his rug handling either. I think that if the Zebra’s were a threat to hearding (spooking) his animals, he was within his rights to do what he did, less the rug incent. Okay, what I don’t get is how is that the zebras are supposed to be so agressive, if they are such a danger, how is that the rancher can walk up to them and point the shotgun at their heads and them kill them? If they are such a terror, wouldn’t they run away before being approached? Wouldn’t the second one run away when the first one was shot? There are too many variables that need to be addressed, questions that need to be answered before any of us can understand what truly happened. I cannot believe that any of us here have the “answer” to what should have been done; the action has occurred so I think the discussion should focus on what is next in regards to this situation. I for one think the hides should go to Mr. Hearst, and Mr. Fiscalini should face some sort of fine or penalty. I don’t know 100% about the danger. I was only commenting in what I have read here and the column by Bill Morem at the Trib. If you read my post further down I said that I think there is some blame all around here and that yes the Zebra hide tanning was VERY dumb. Bottom line is these animals were “non native pets” of the Hearst ranch and once they fled that property, they became feral non native game and are subject to CA DAG regulations. They are in the same category as Wild Pigs, one per day 365 days per year. There are many animals that rate this category in the Hearst Ranch area, Muffling sheep, Barbary sheep. Aided sheep, and the Zebras. They were brought by Mr. Hearst and have gone feral. They present a serious hazard to native and domestic animals.